- Big, bold, and totally badass! 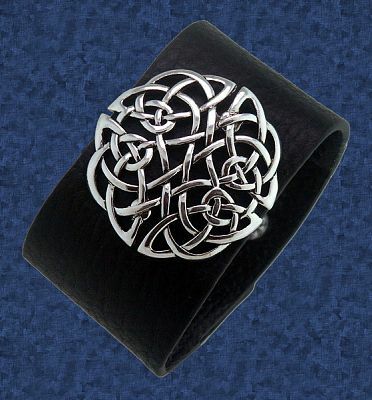 The black leather band measures 1 5/8" wide, and 8 1/2" long (slightly adjustable), and is accented by a dramatic Celtic knot. This eye-catching bracelet makes a powerful statement that is impossible to ignore! 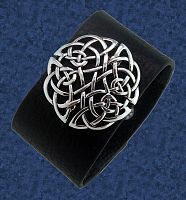 Do you have any other questions about our Extra Wide Celtic Leather Bracelet?